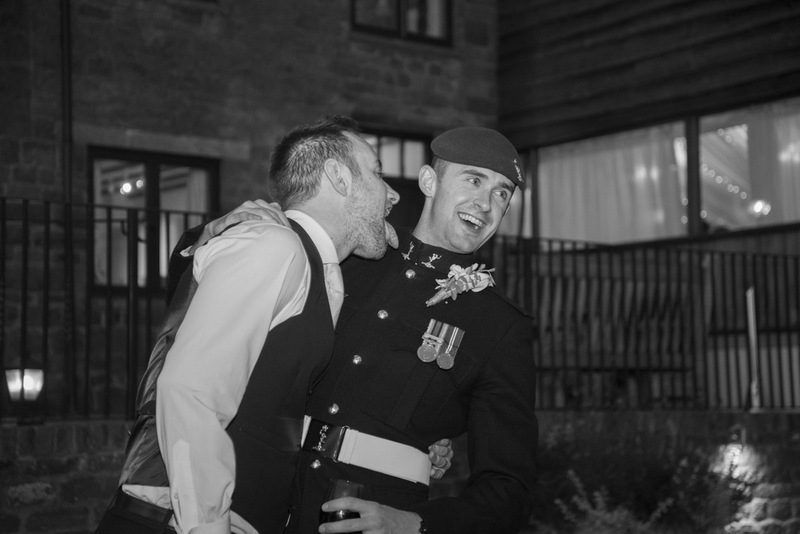 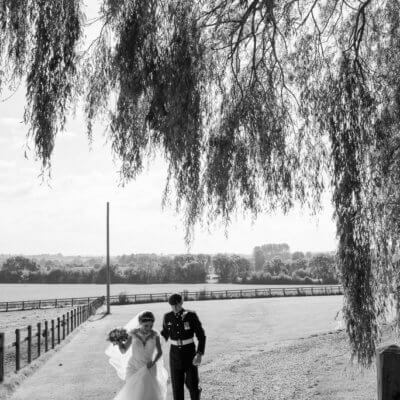 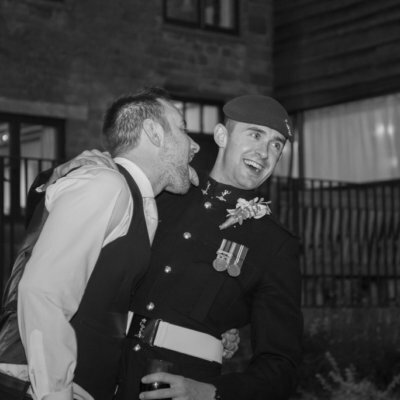 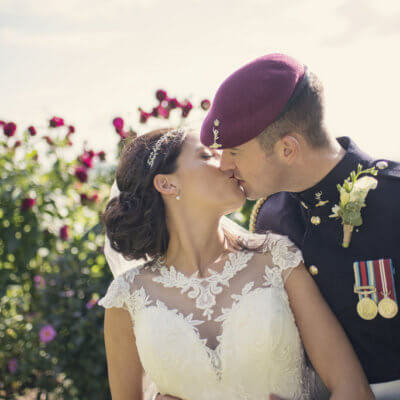 We love a military wedding! 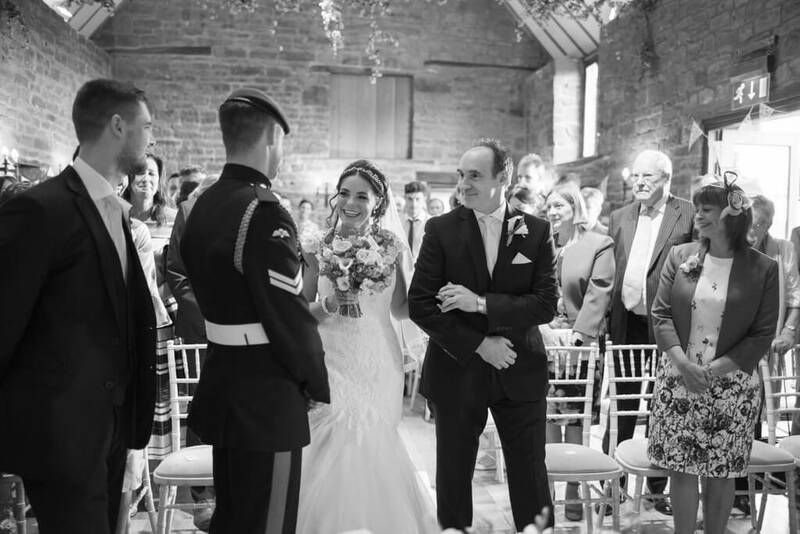 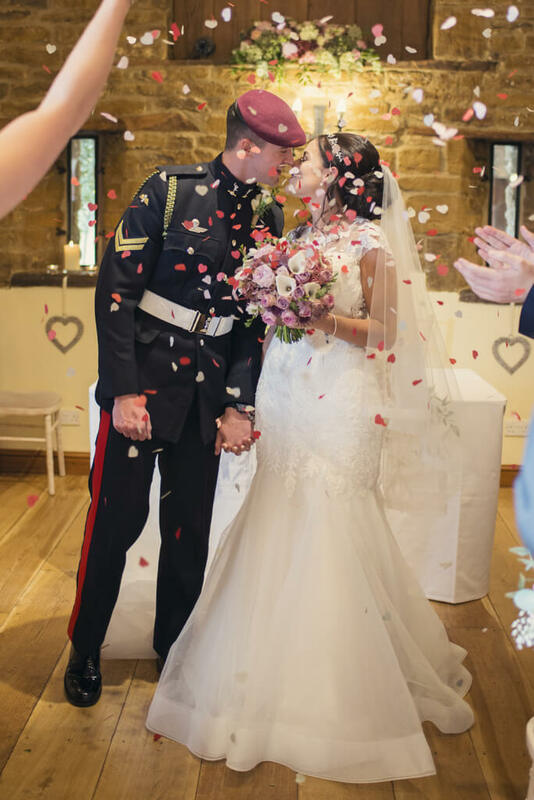 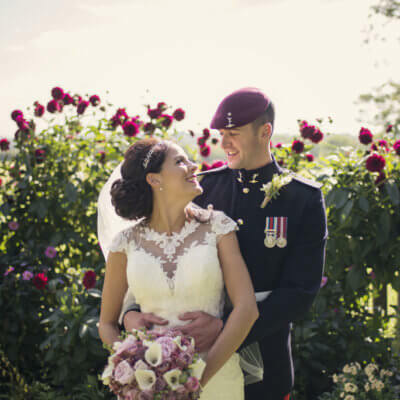 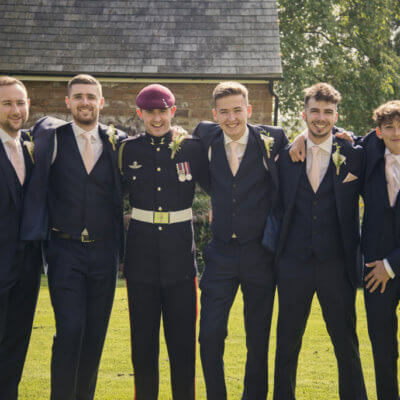 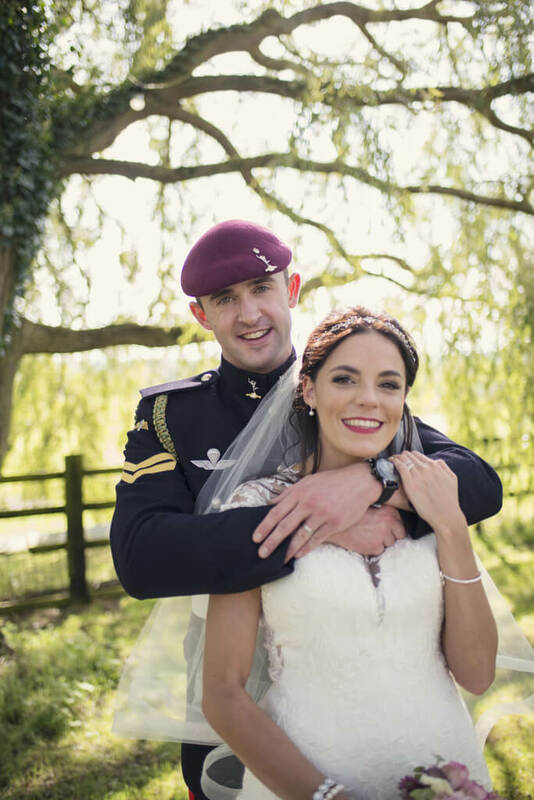 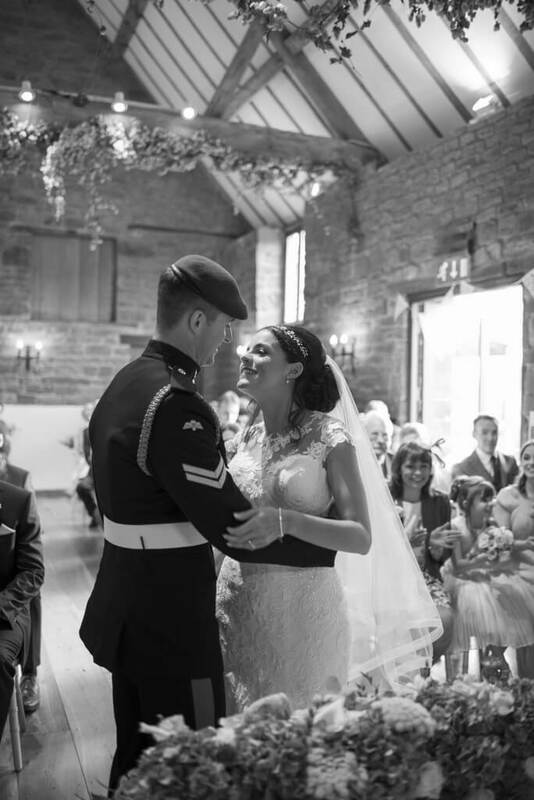 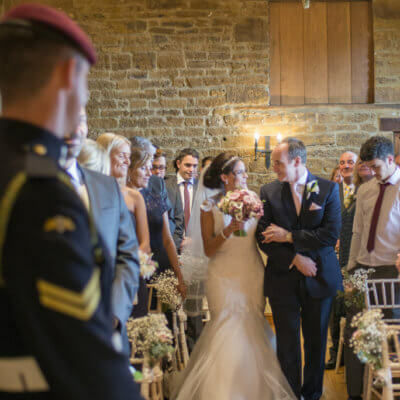 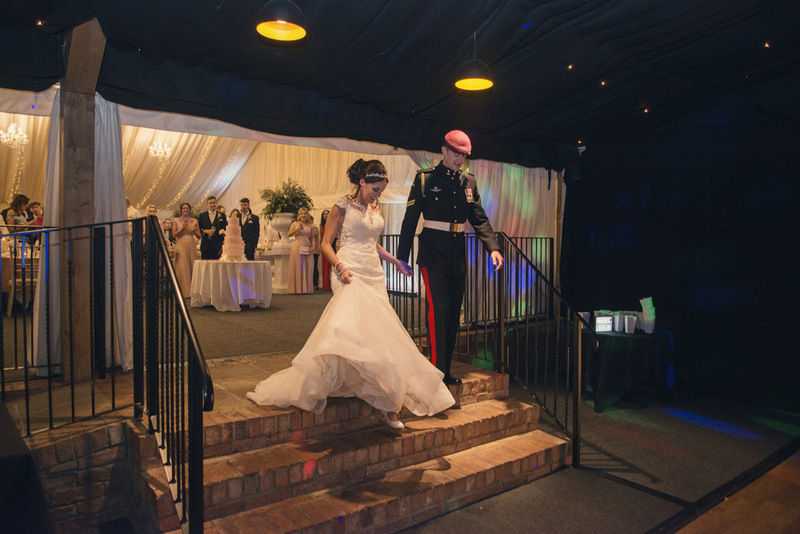 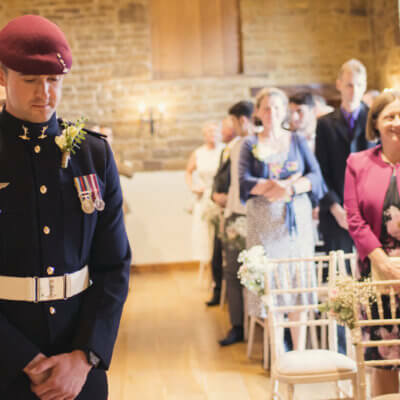 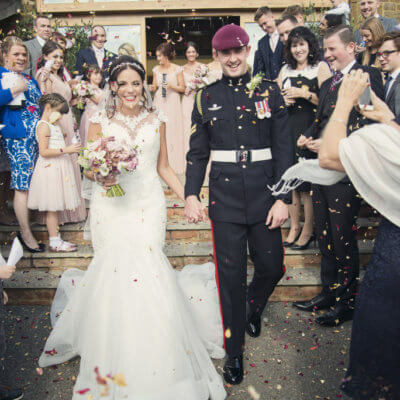 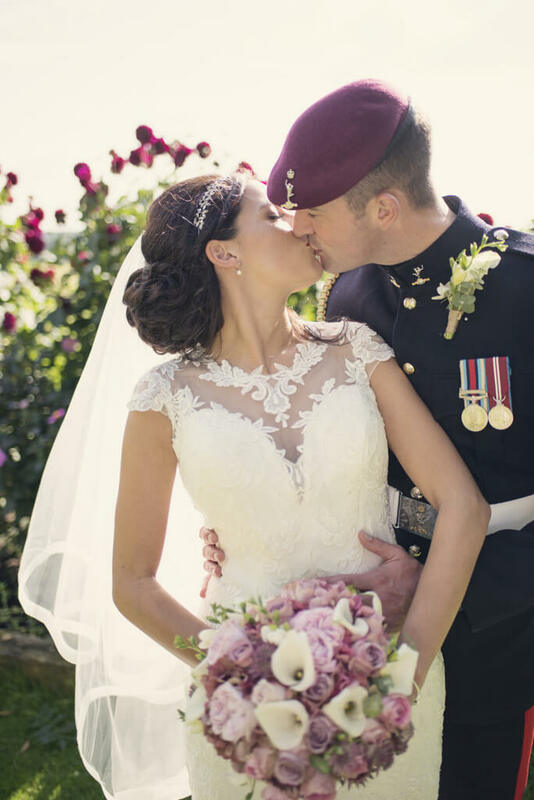 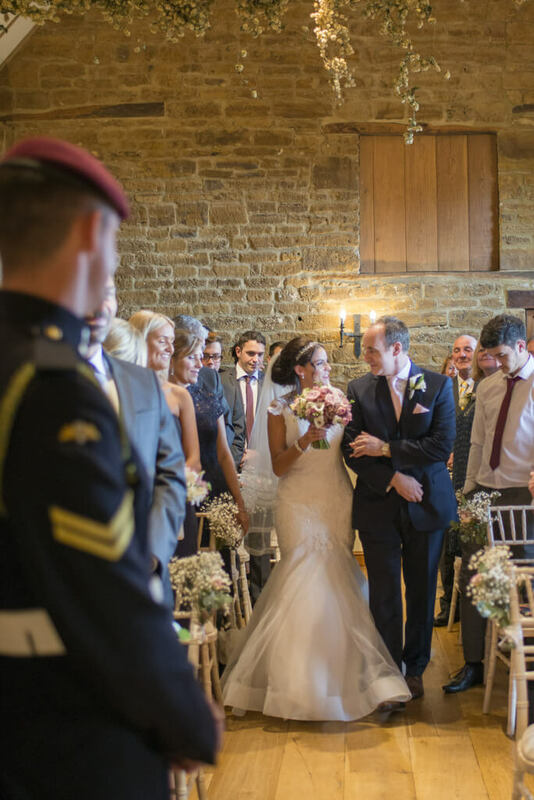 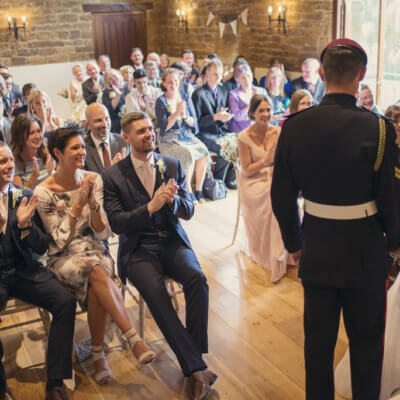 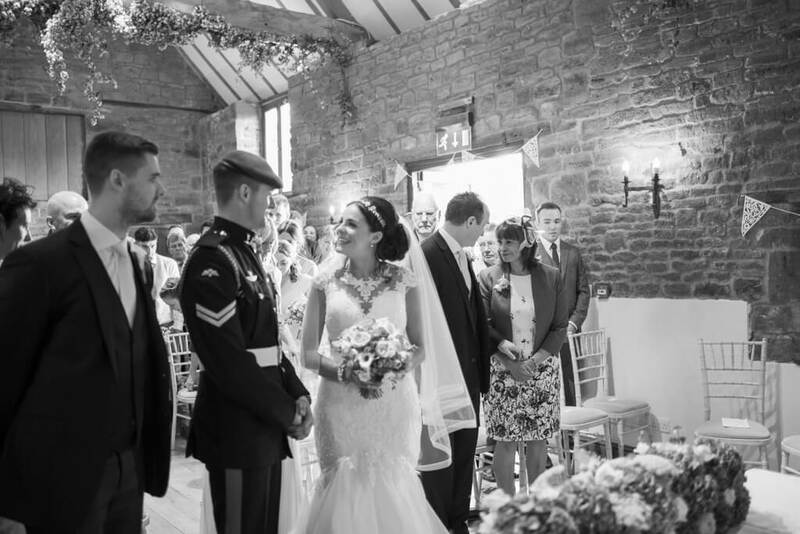 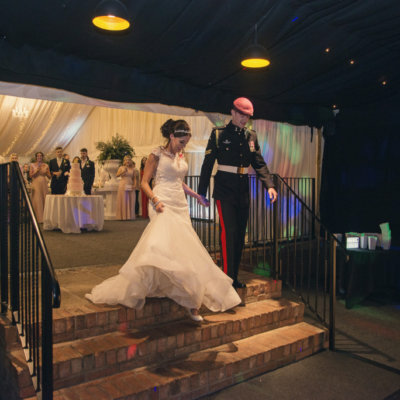 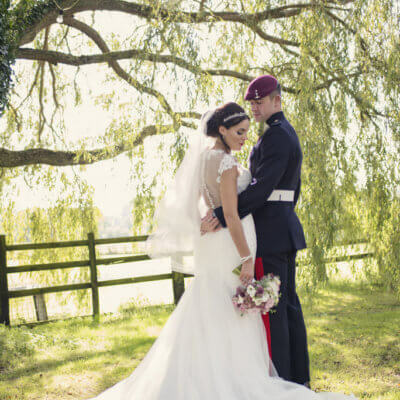 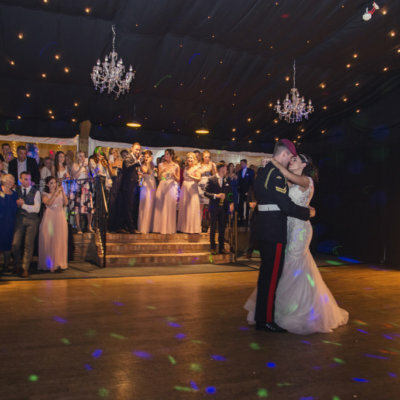 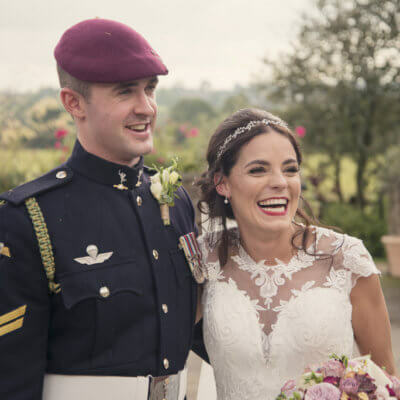 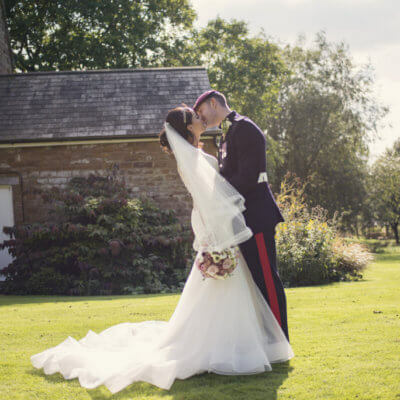 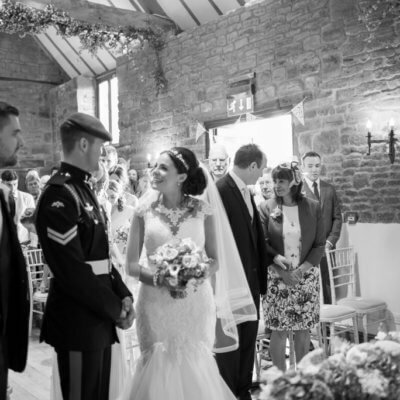 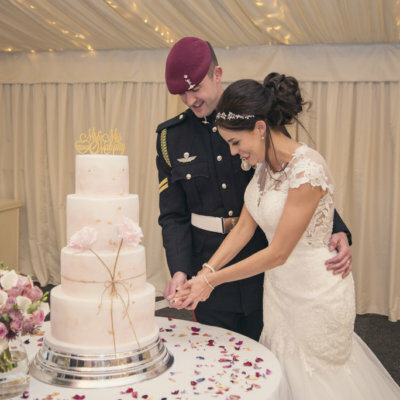 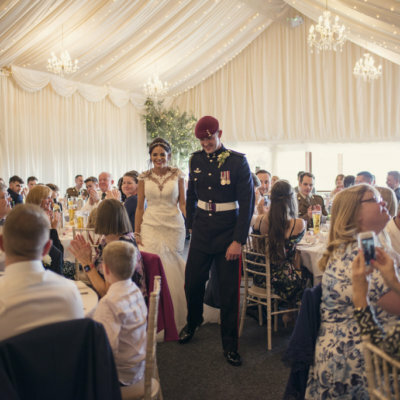 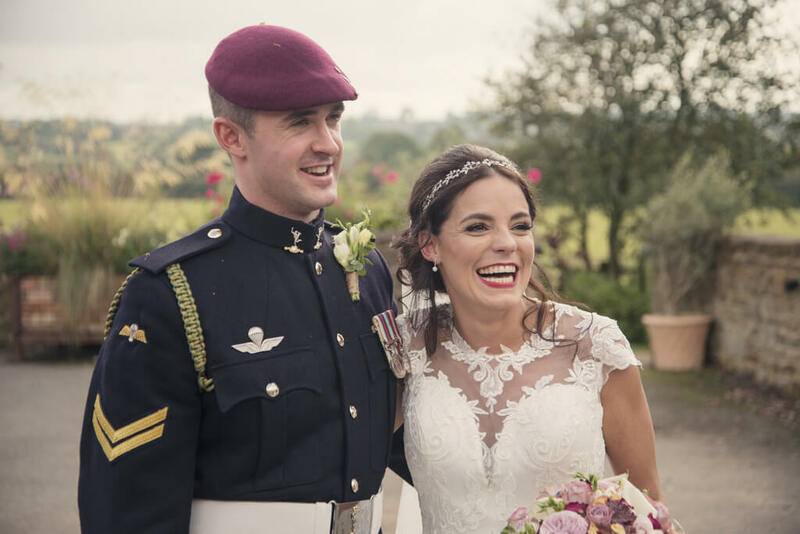 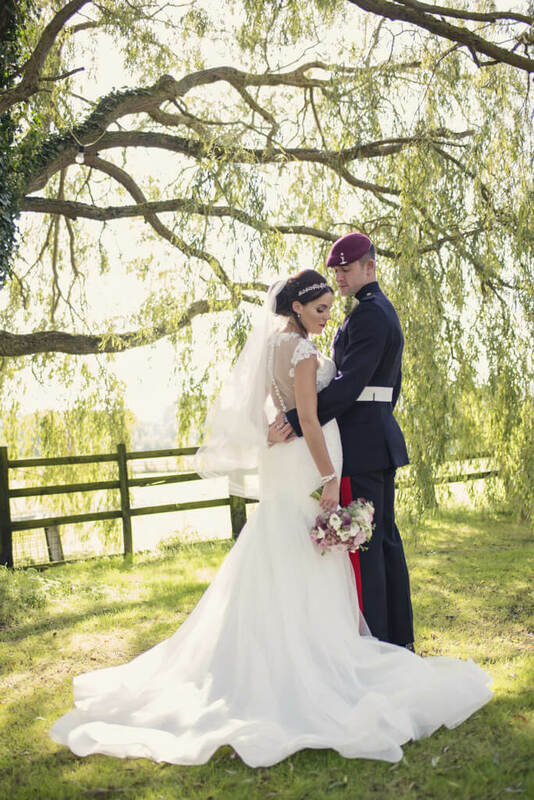 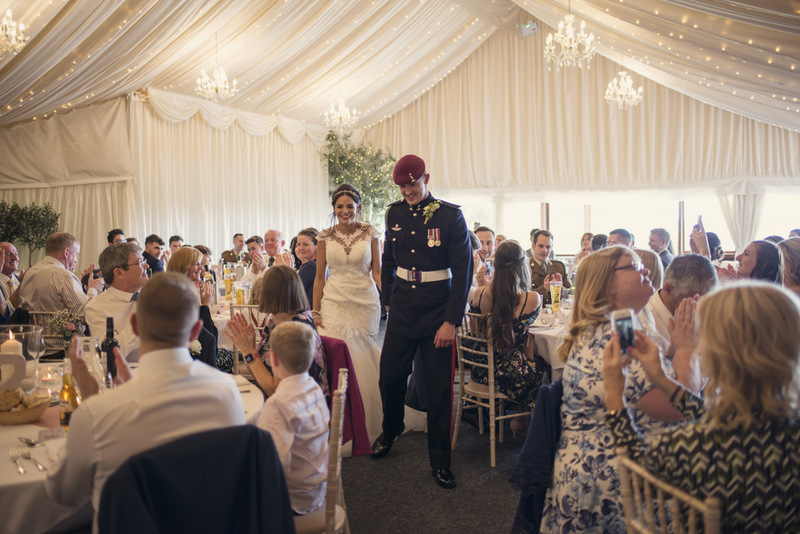 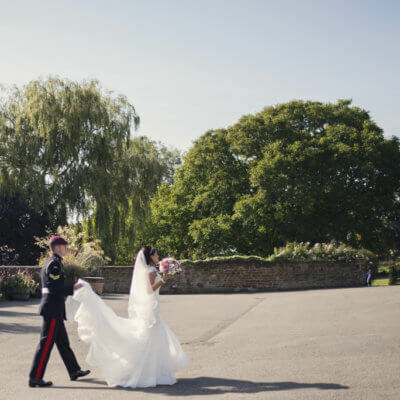 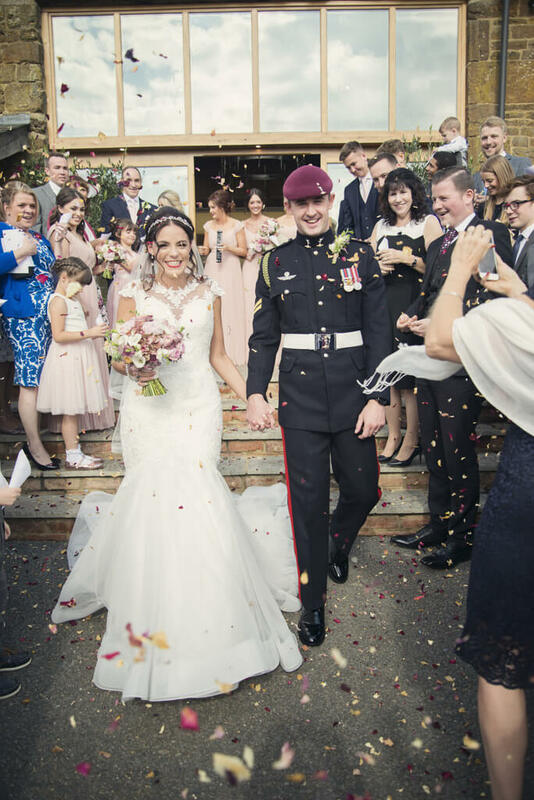 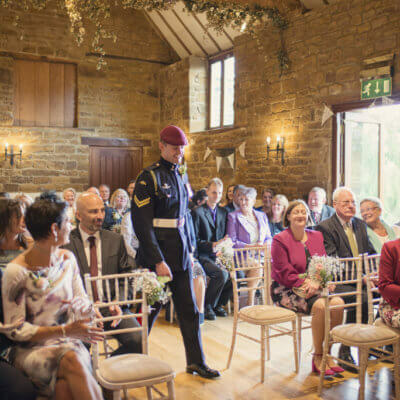 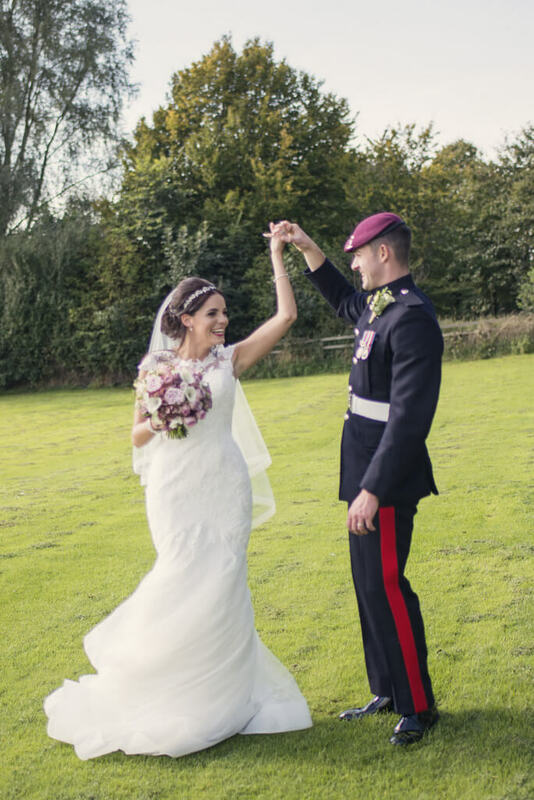 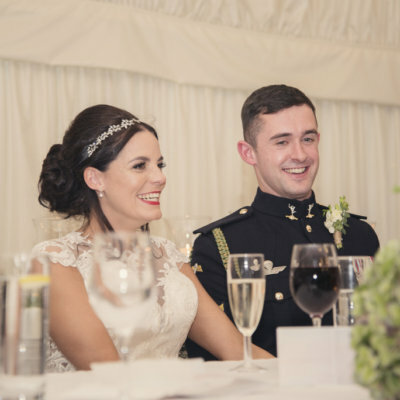 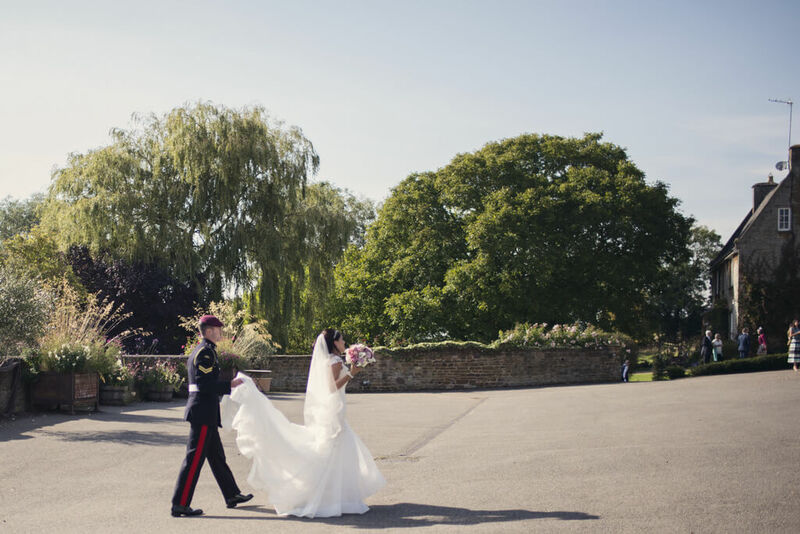 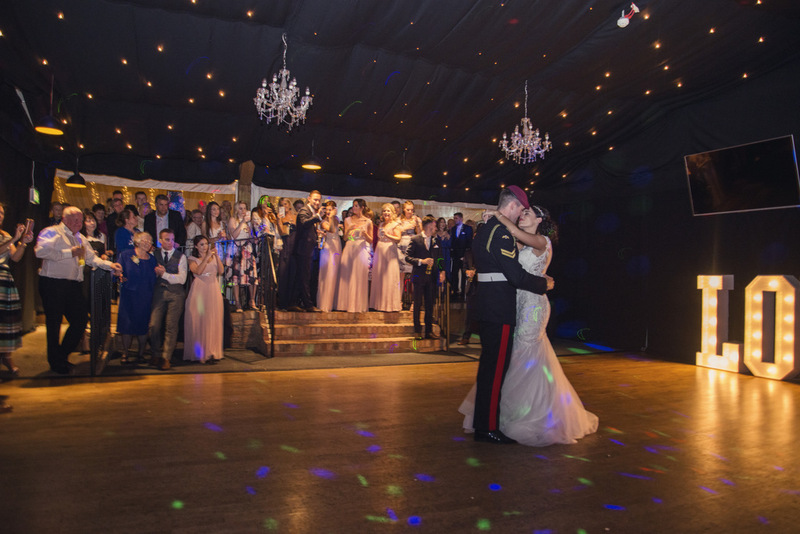 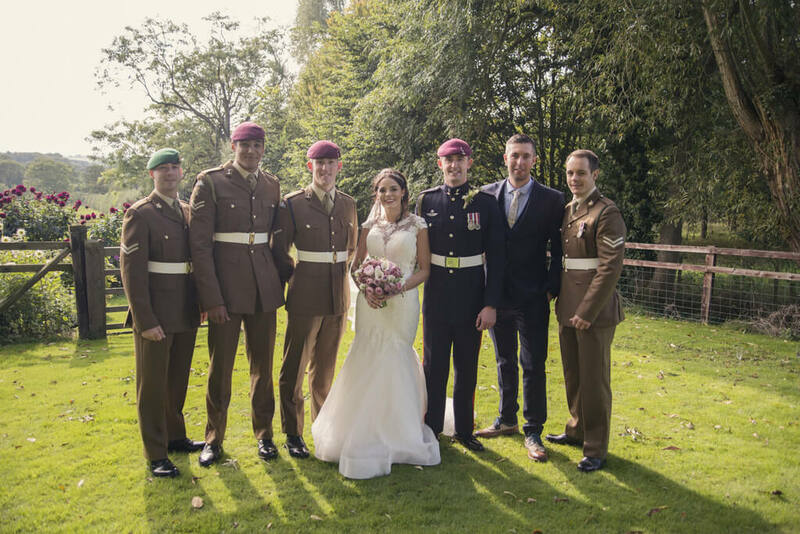 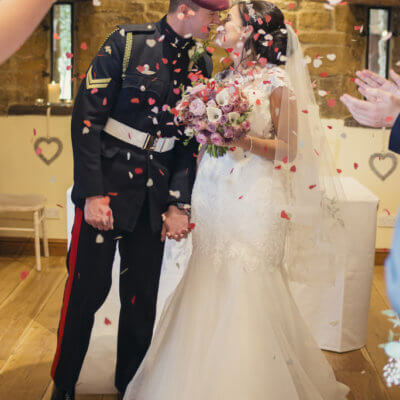 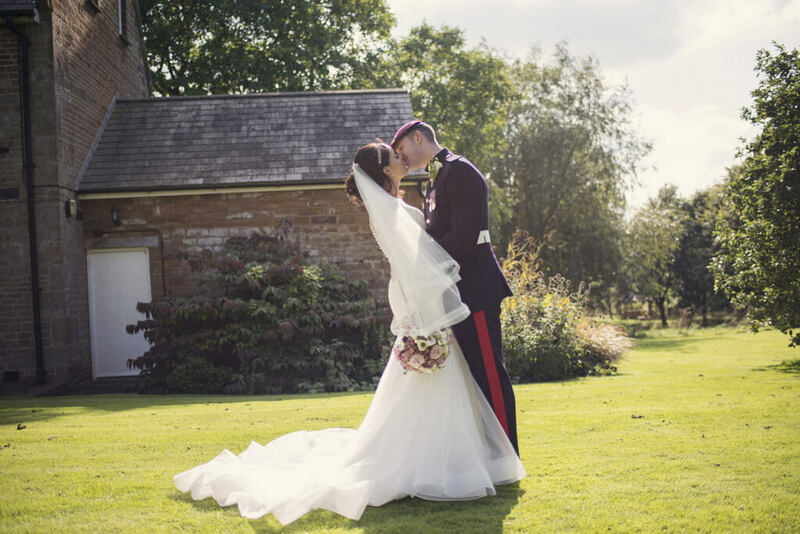 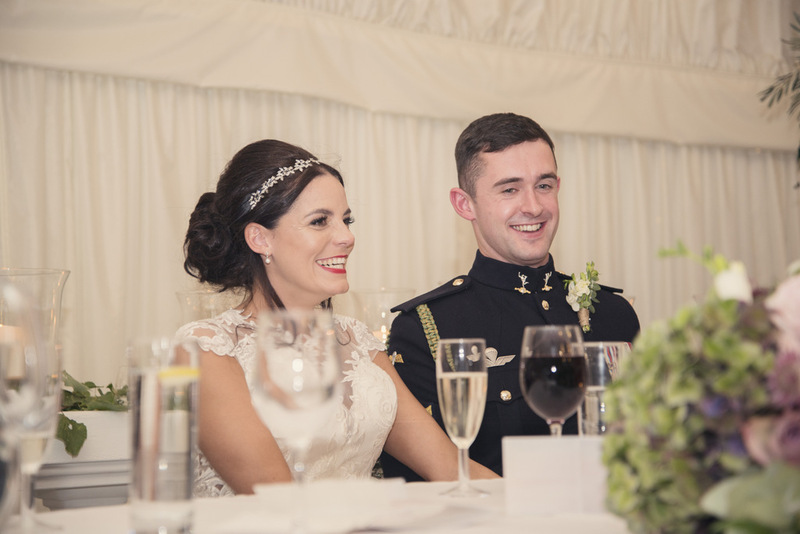 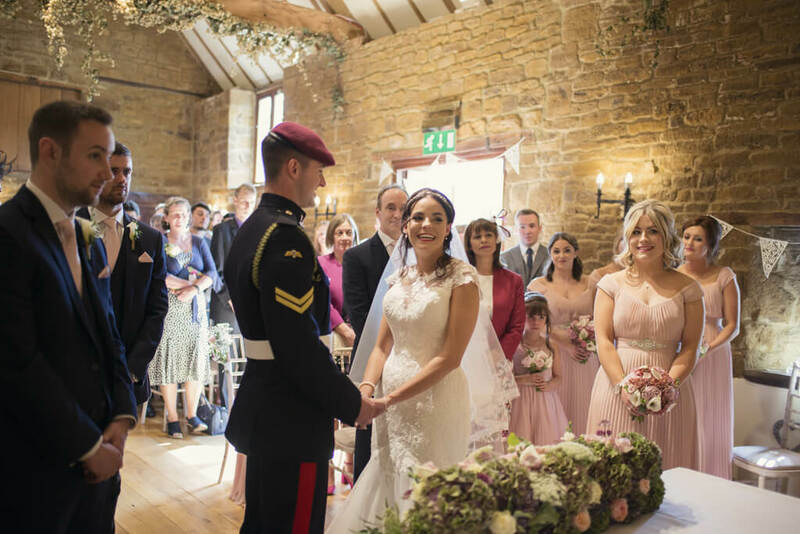 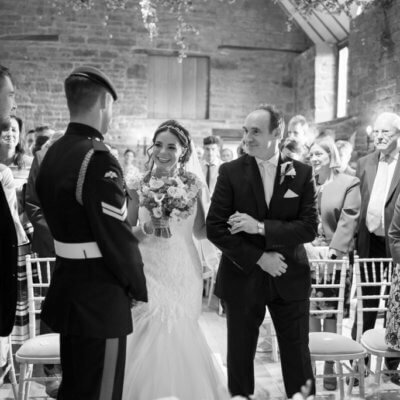 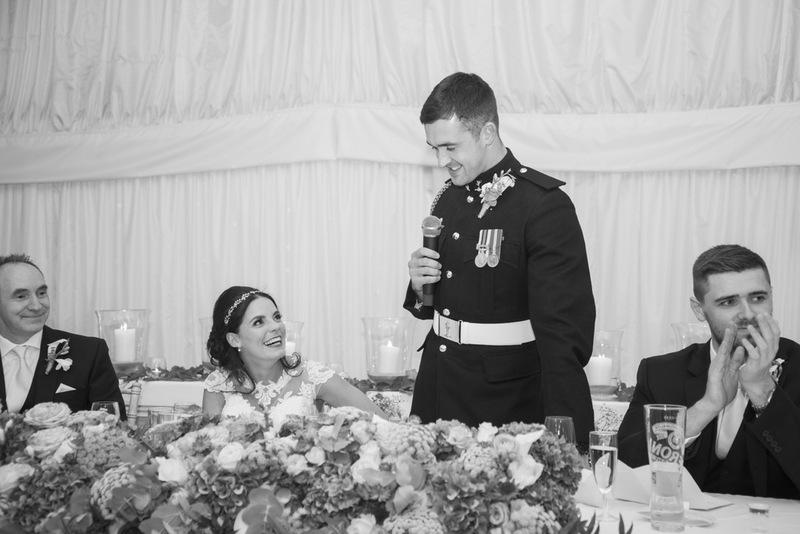 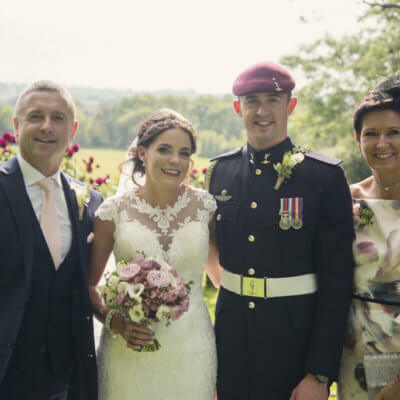 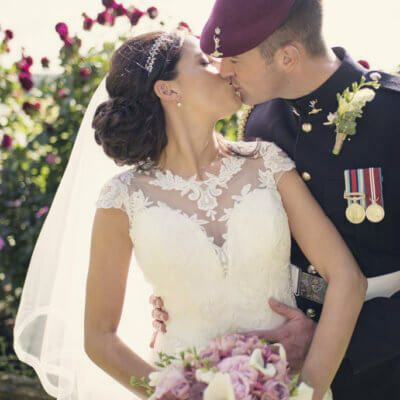 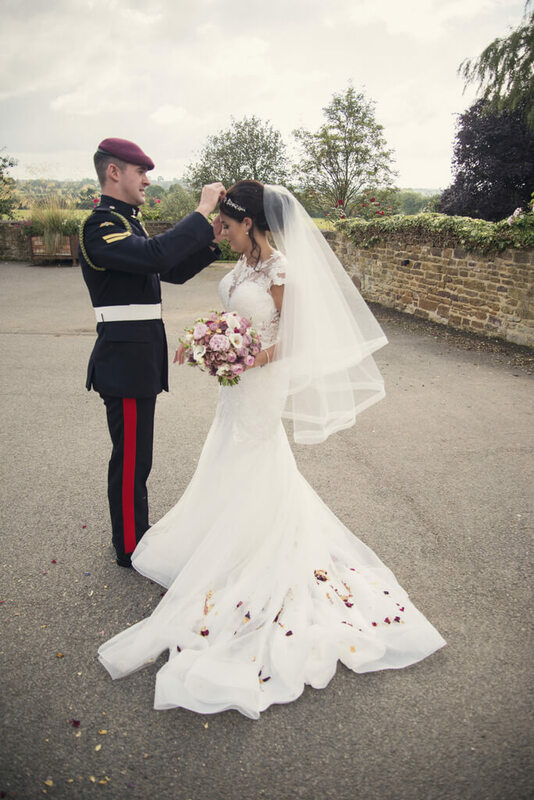 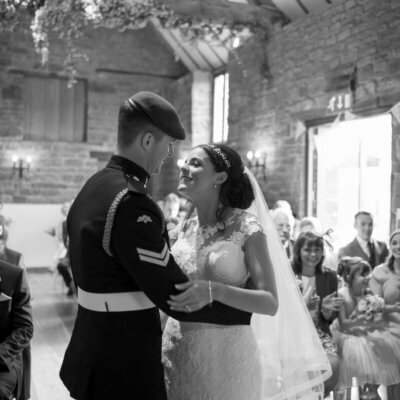 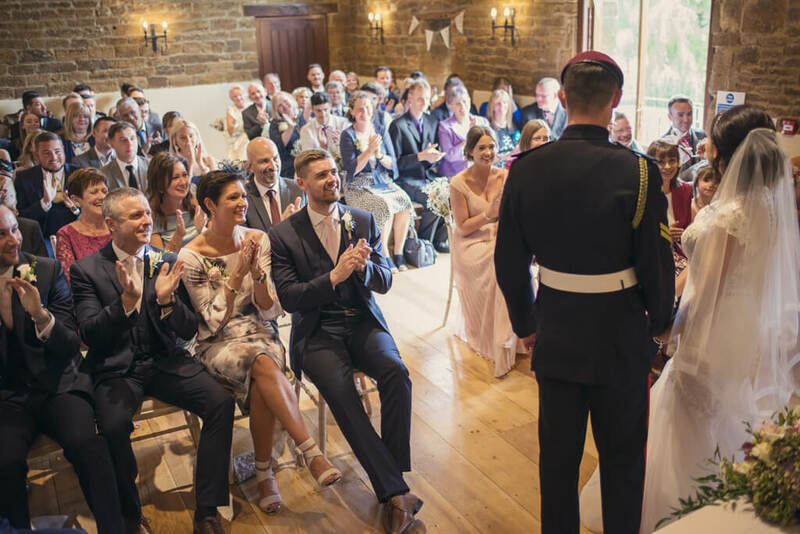 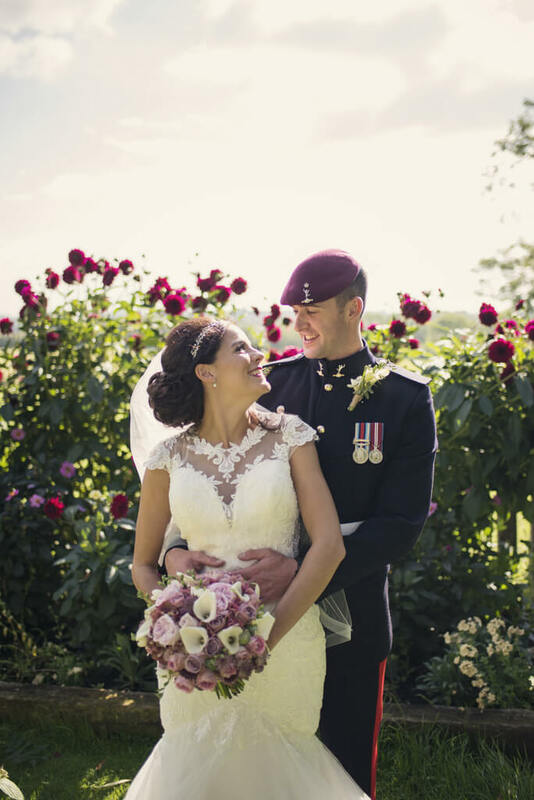 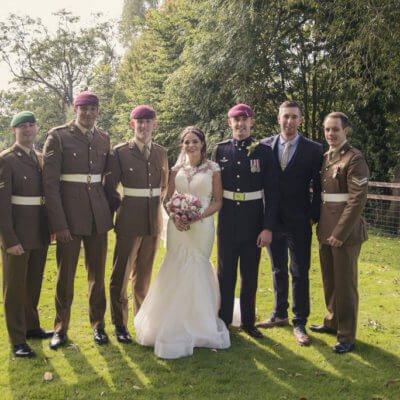 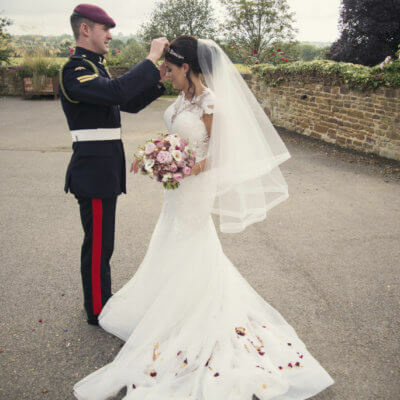 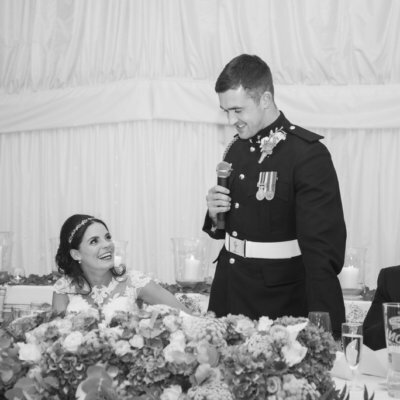 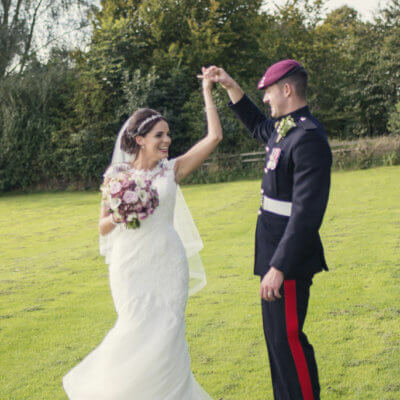 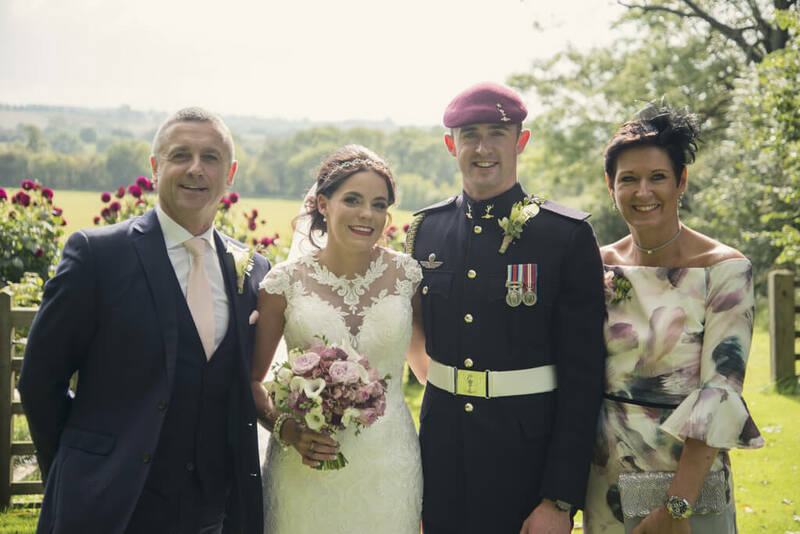 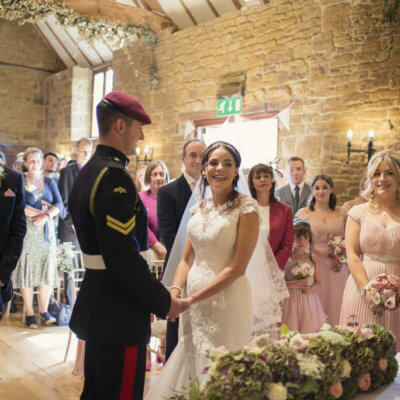 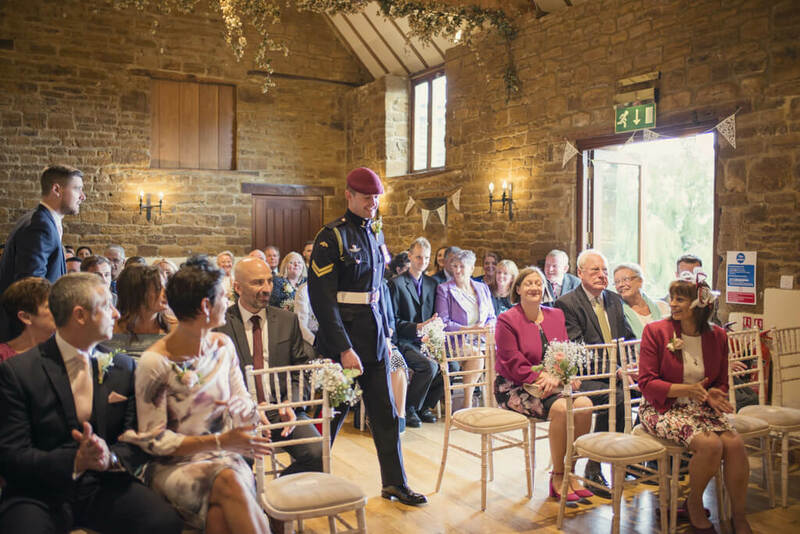 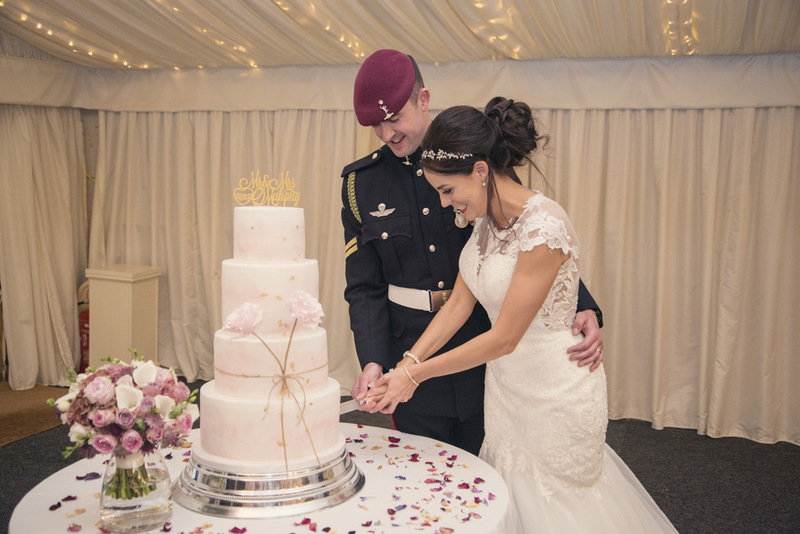 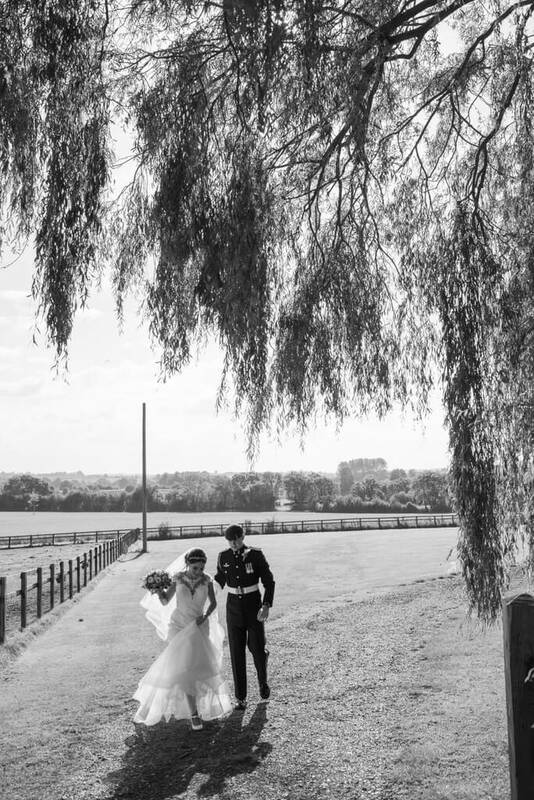 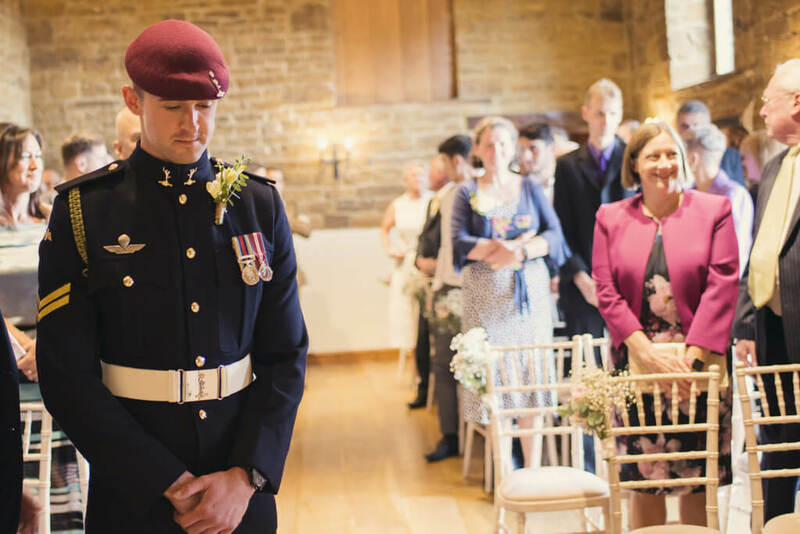 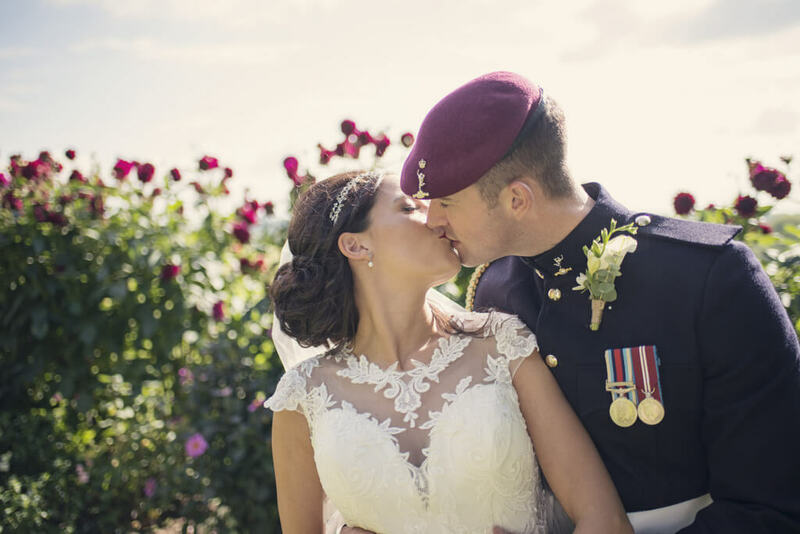 Beautiful bride Naomi married her groom, Conor who looked dashing in his British Army uniform (Royal Signals) in September last year. 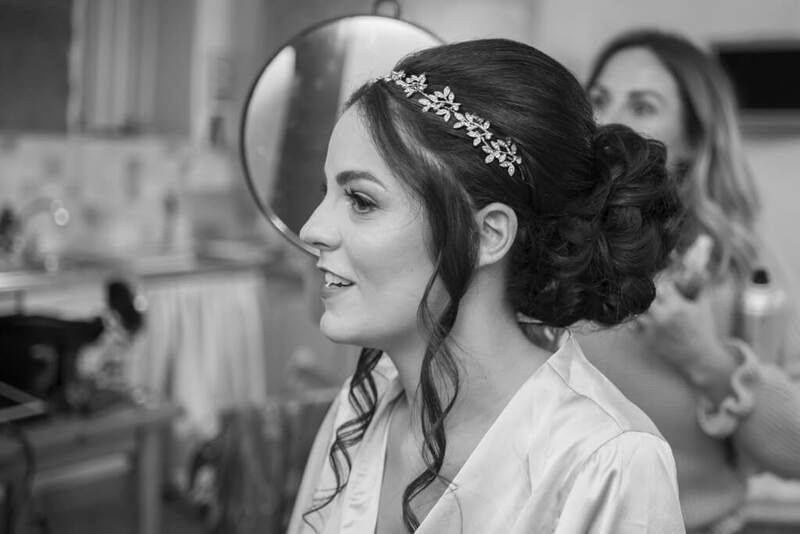 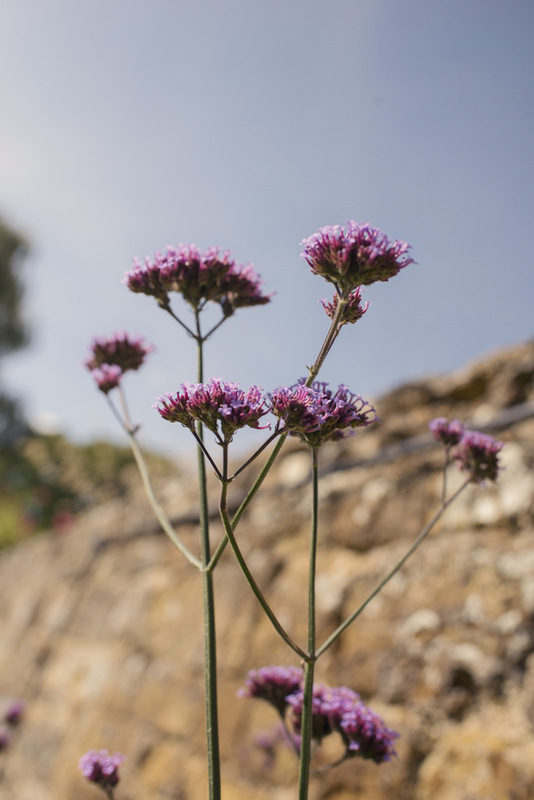 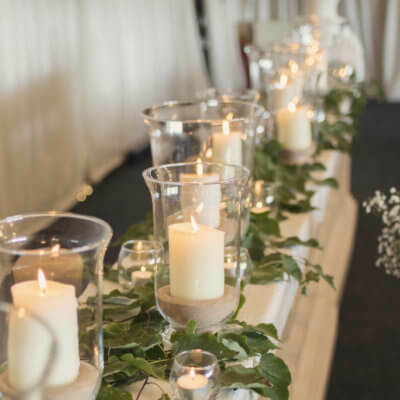 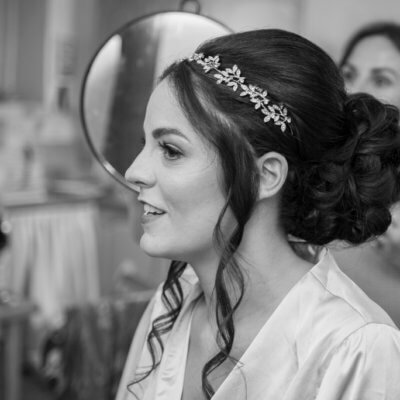 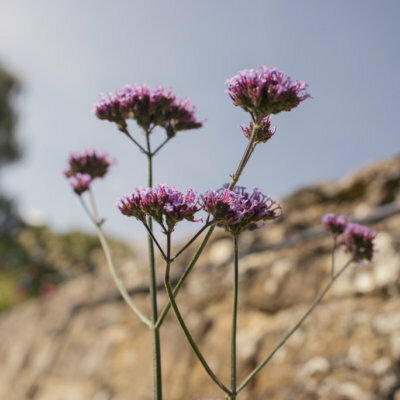 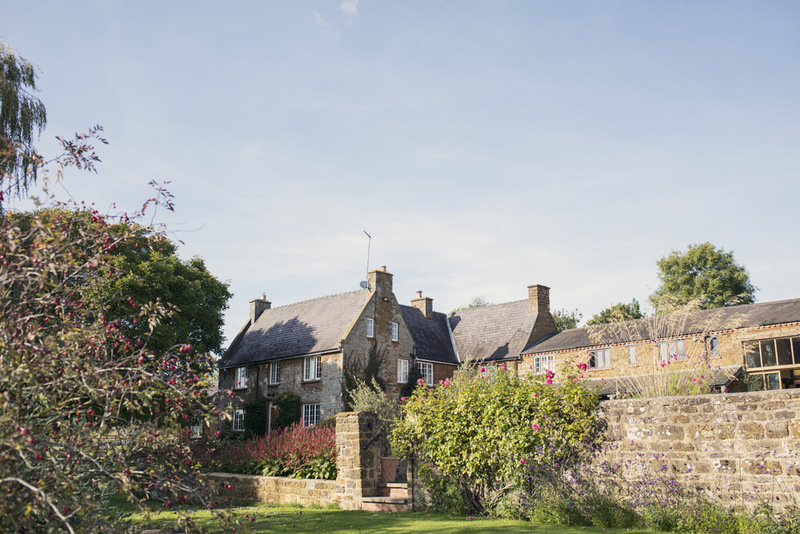 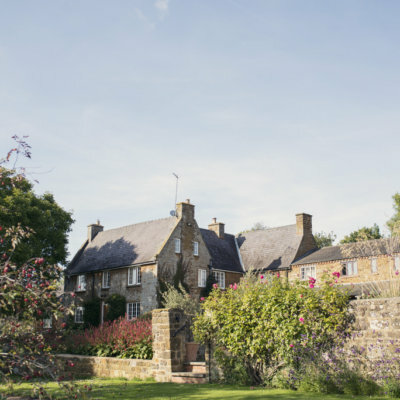 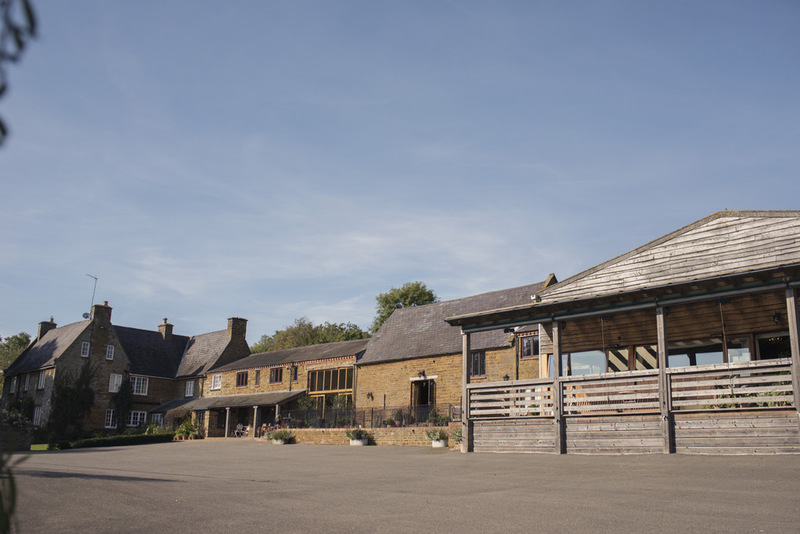 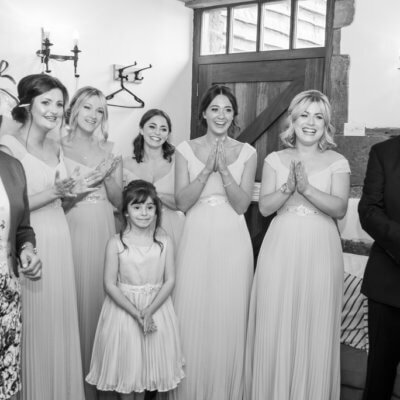 Naomi stayed in Dryden cottage the night before the wedding, enjoying breakfast in the farmhouse with family and bridesmaids before commencing preparations for the big day. 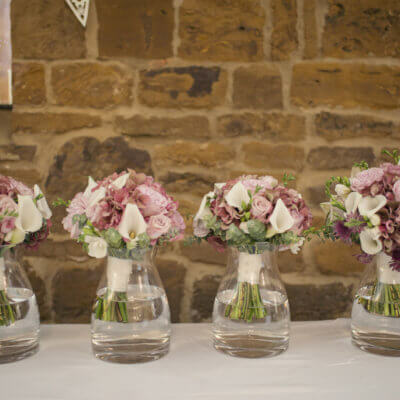 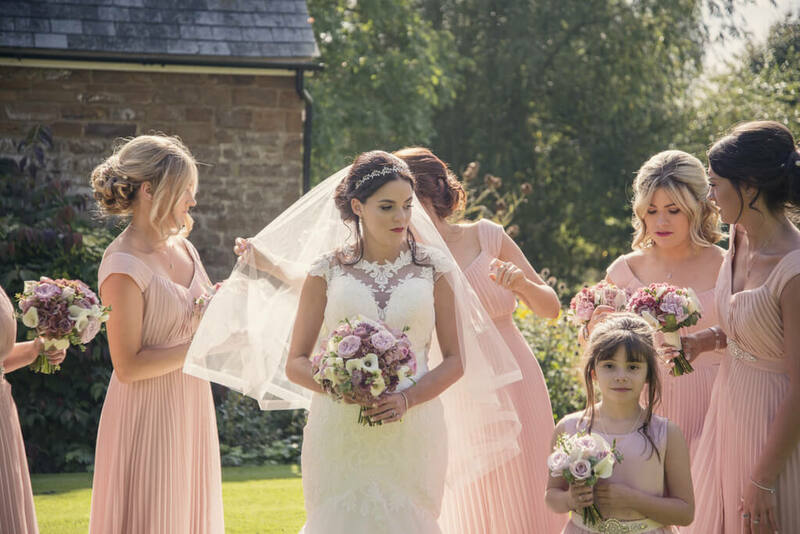 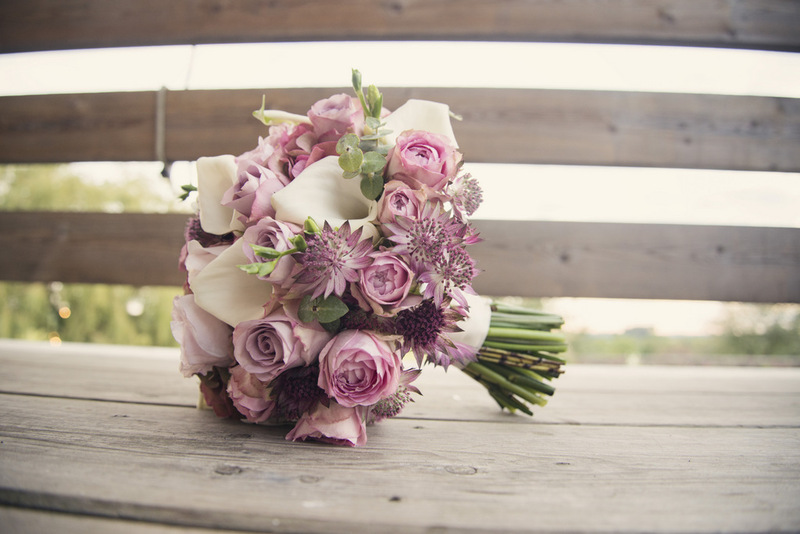 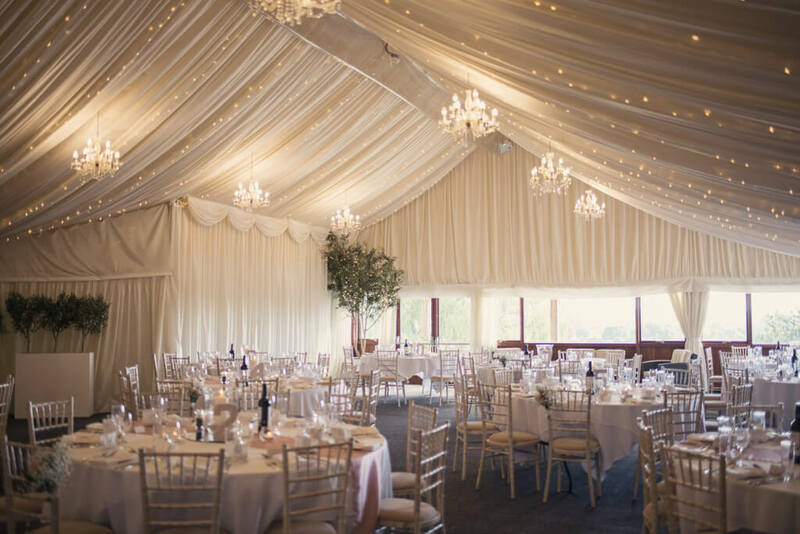 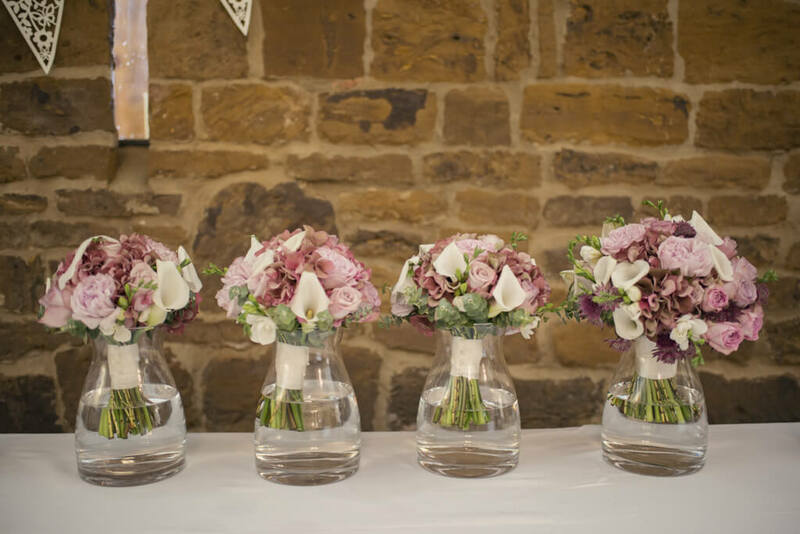 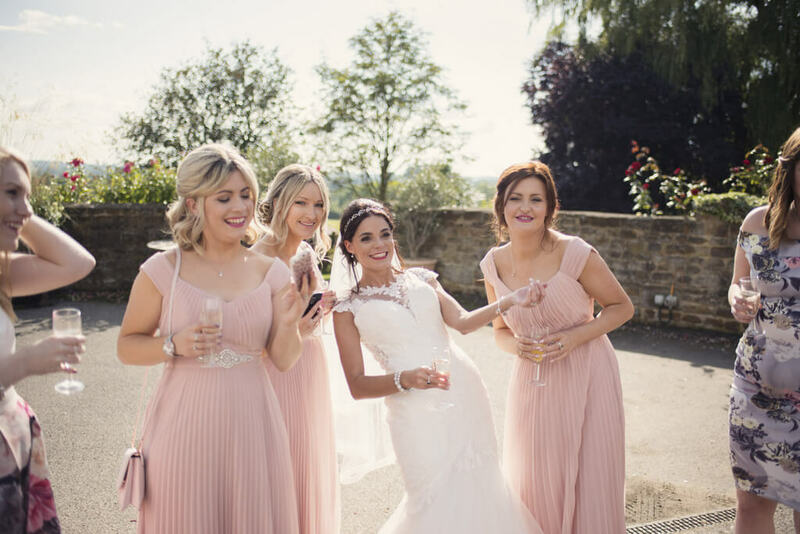 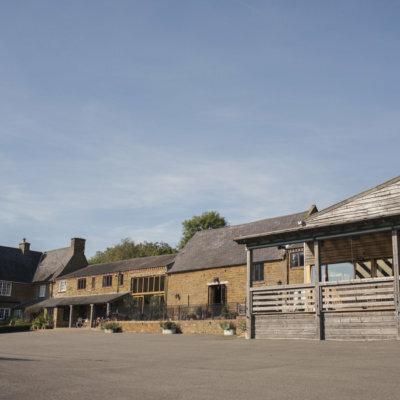 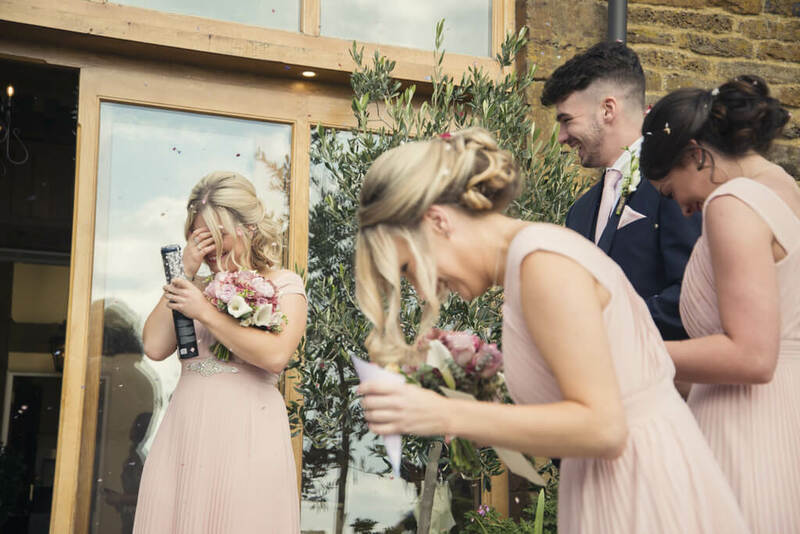 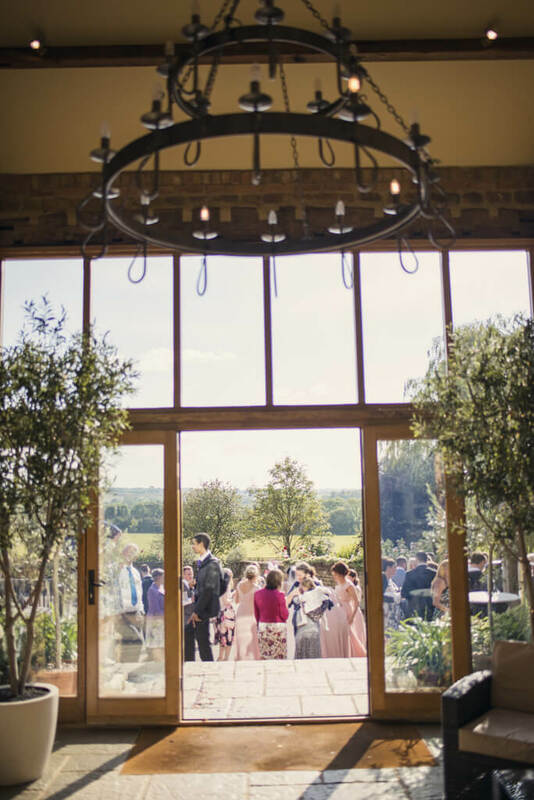 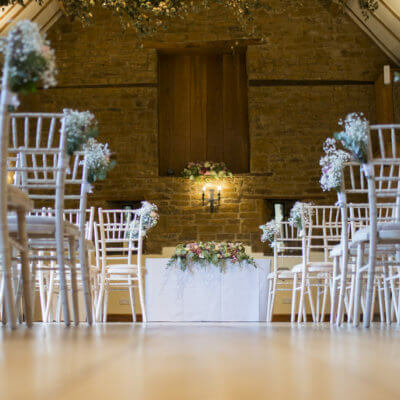 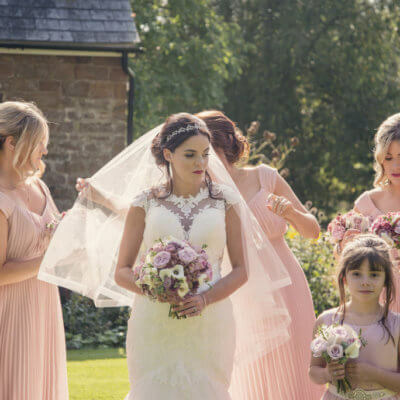 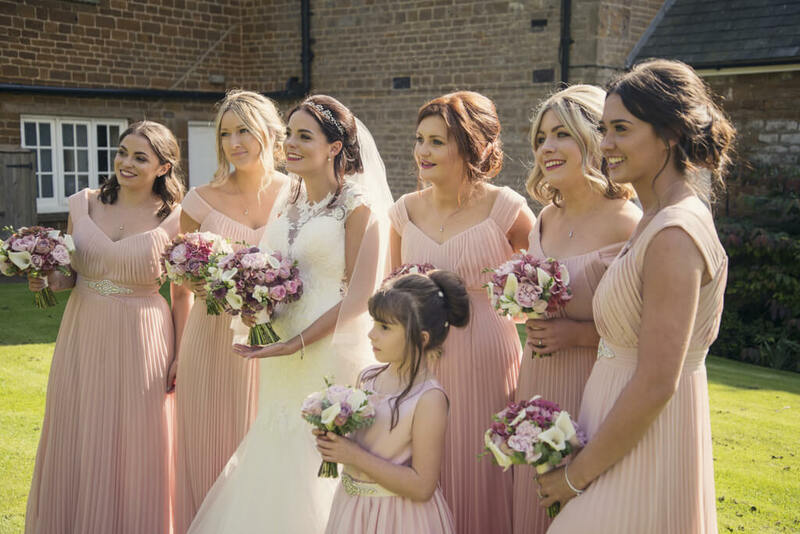 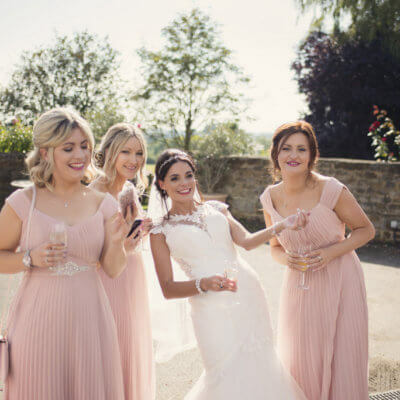 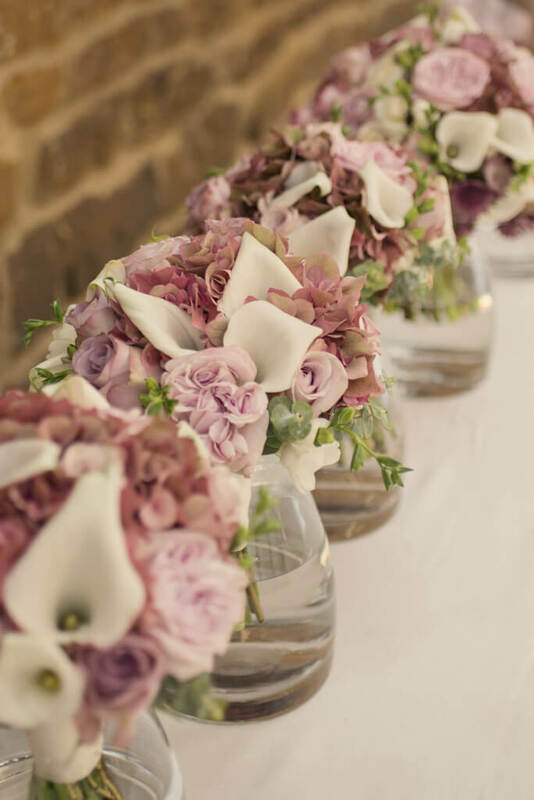 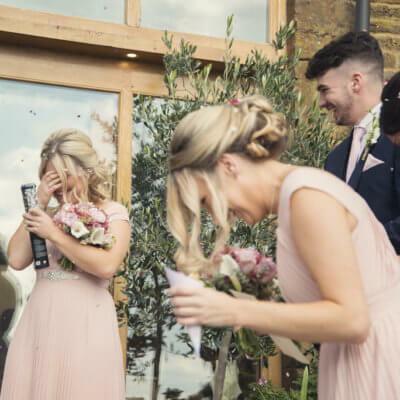 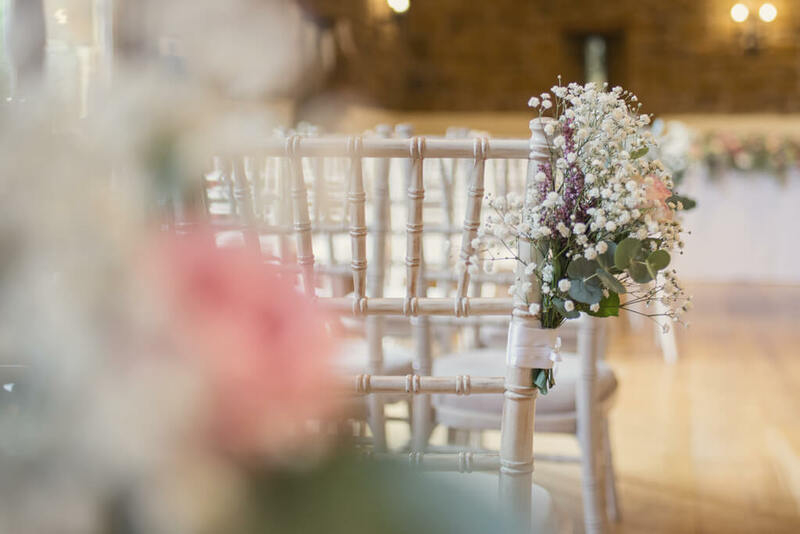 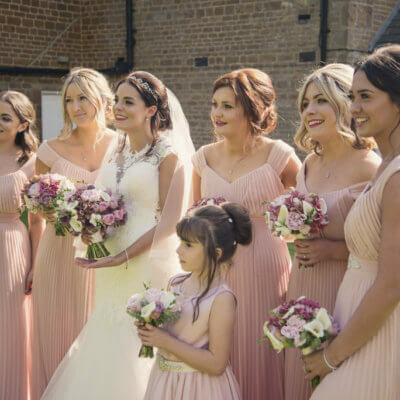 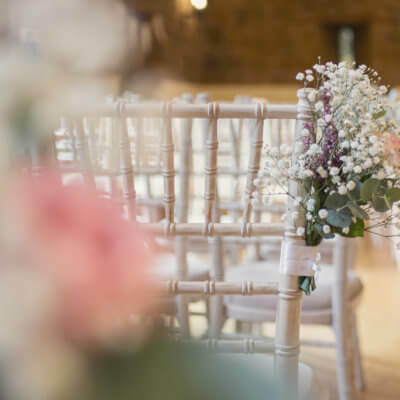 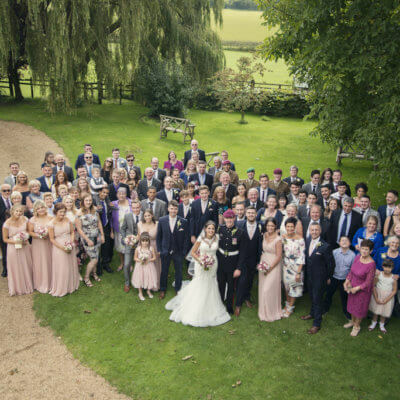 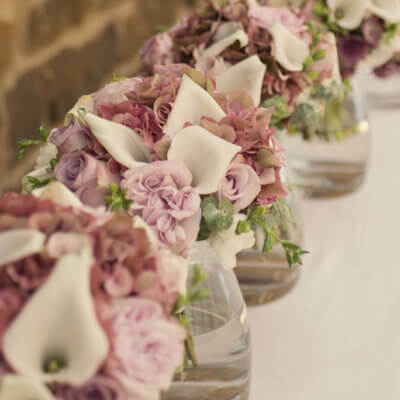 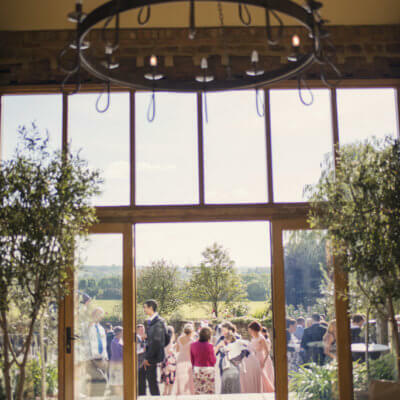 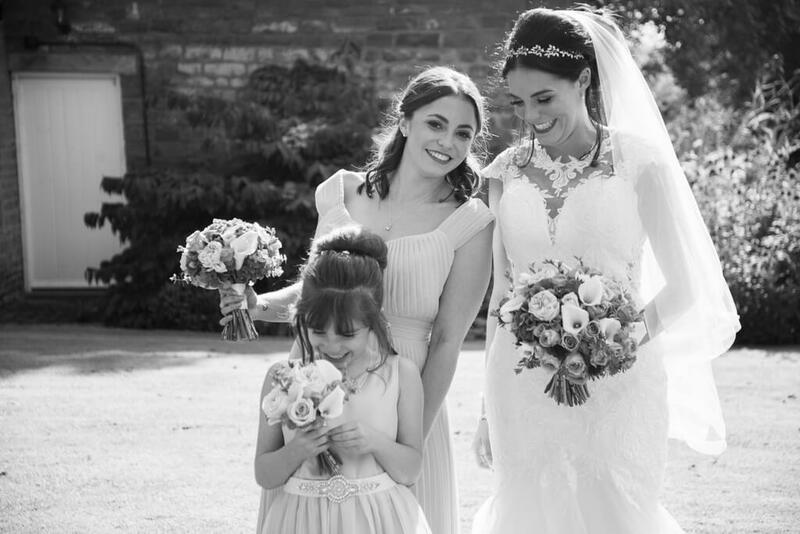 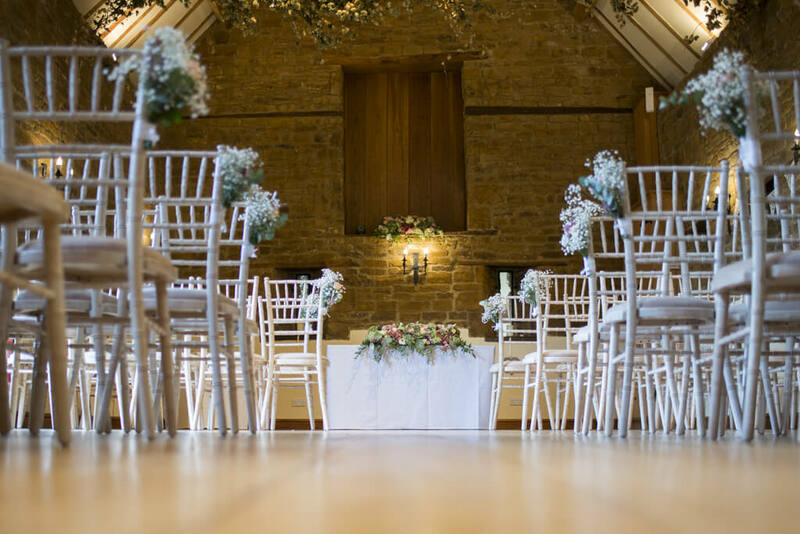 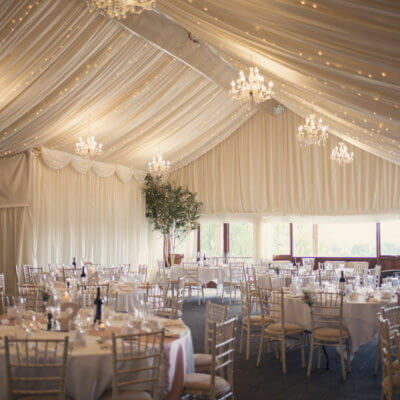 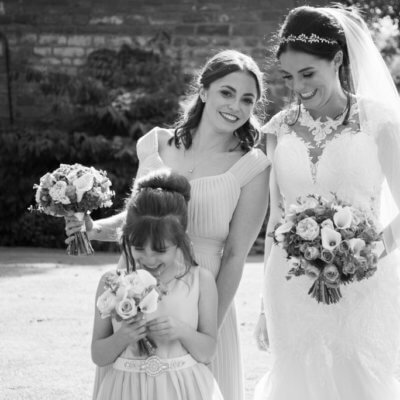 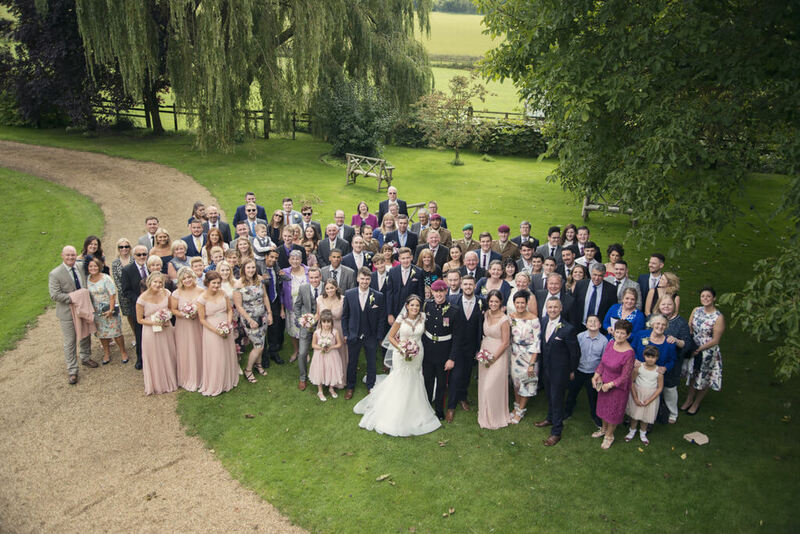 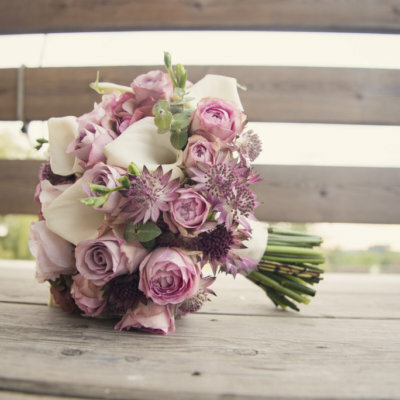 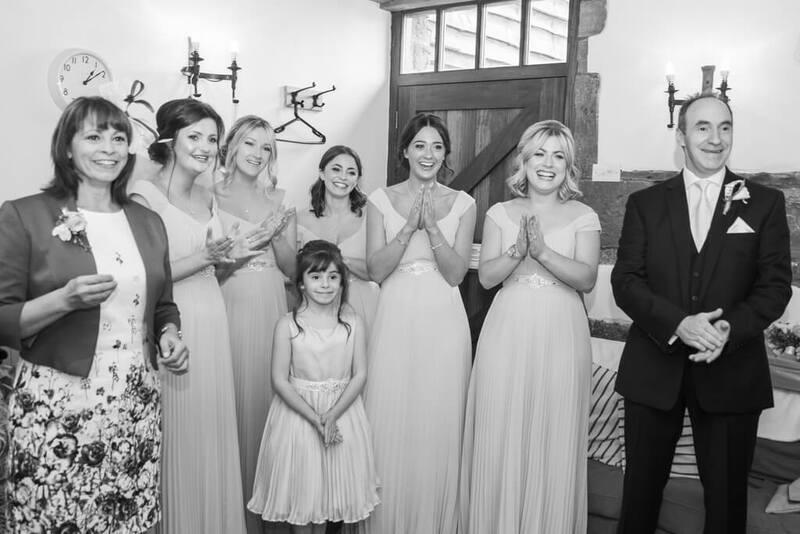 The couple chose to tie the knot in the vaulted barn wedding venue which was decked in flowers by Daisy Ellen to match the bridal bouquets in blush pinks and whites, also complementing the bridesmaids’ full length dresses. 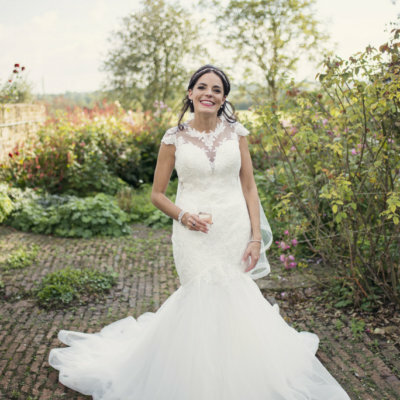 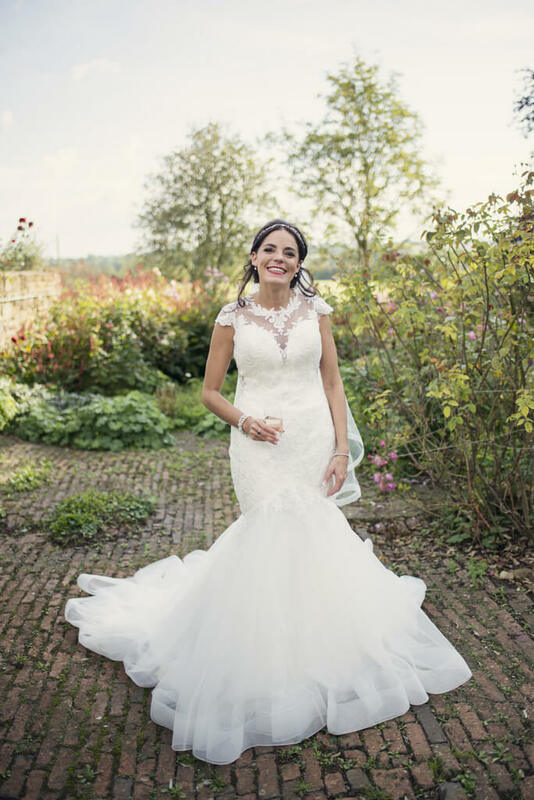 The bride wore a fishtail gown with lace detail and a soft lace veil. 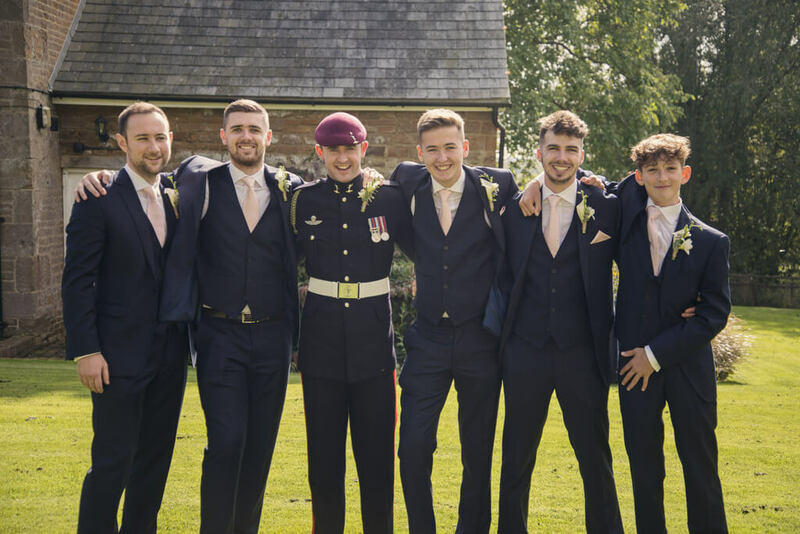 After the ceremony the wedding party enjoyed drinks and photos in the gardens before making their way into the main marquee for the wedding breakfast. 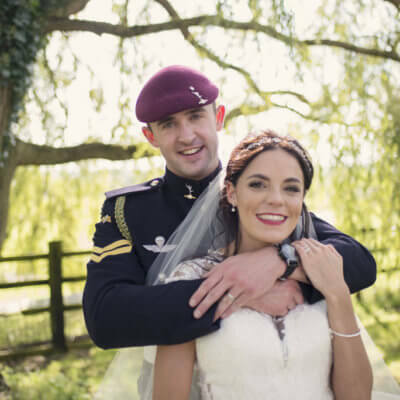 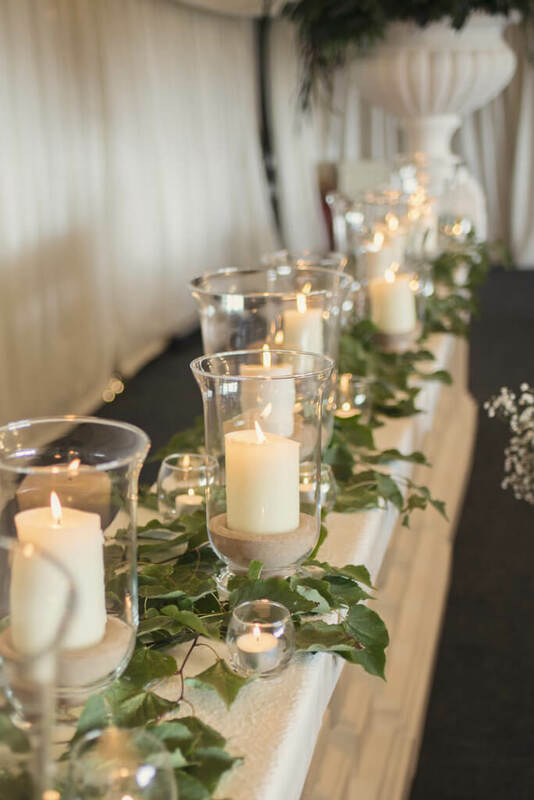 Huge thanks to Naomi and Conor and to the talented photographer Jodie Cooling for allowing us to share a glimpse of their special day.